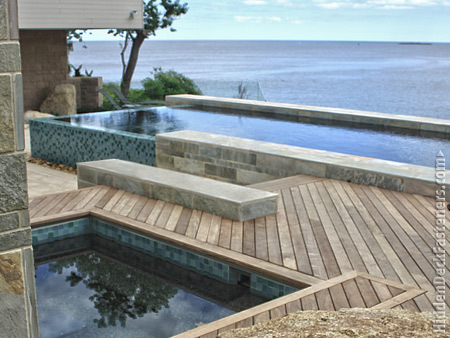 Kiln-dried wood basically is wood decking that has been artificially controlled and not left up to nature to dry. The process of kiln-drying requires no chemicals. The wood decking is placed inside a large chamber where both heat, humidity, and airflow levels are controlled. Water evaporates at a controlled and steady pace. Kiln dried wood is recommended whenever inclement weather may be a factor and where air-drying just isn’t possible. For instance, air drying decking in the Florida rainy season is a difficult task. However, if you purchase kiln-dried wood, the deck building process is easier and there are less defects overall. 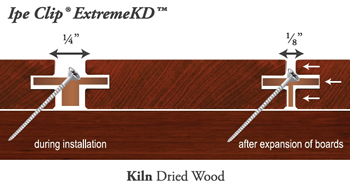 Now that you know the benefits of kiln drying, here’s the best deck fastener for kiln dried wood decking. Learn more about the DeckWise® ExtremeKD™ and why it is the best deck fastener for air-dried wood decking.